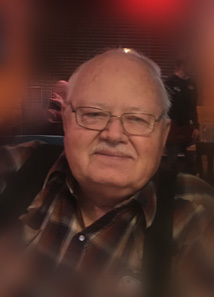 Eugene E. “Gene” Carlos, 74, of New Carlisle, passed away Tuesday, April 2, 2019. He was born January 29, 1945 in Springfield. Gene retired from Springview Developmental Disabilities Home and was a member of Renewed Strength Church in Westville, Ohio. He was an avid fisherman, hunter and just loved being outdoors. Gene is preceded in death by his parents Carl and Doris Reed; his loving wife Bonnie; and sister Marcia Reed. He is survived by his daughters Debbie (Wes) Johnson, Becky (Robert) Alexander, Valarie (Jim) Herring and Kimberly Carlos; sister Gayle Rose; eleven grandchildren; eighteen great-grandchildren; four great-great grandchildren; numerous nieces and nephews. Visitation will be Friday from 5-8 PM in TROSTEL, CHAPMAN, DUNBAR & FRALEY FUNERAL HOME. The funeral service to honor Gene will be Saturday at 10:00 AM in the funeral home. Burial will follow in New Carlisle Cemetery. Expressions of sympathy may be made at www.trostelchapman.com.